Towerwood is a well-established adult 55 + mobile home community. Towerwood was developed in 1985 by John Wood. 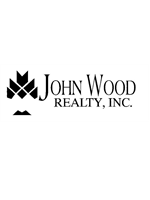 Mr. Wood's 30 years of experience in land development, brought about the concept for Towerwood, where luxury and quality combine to create an extraordinary value in an adult mobile home community. Quality homes and affordable prices make Towerwood an excellent place to invest for your retirement home. Towerwood has so much to offer! The beautiful Florida sunshine, tropical landscape and nearby attractions captivate those seeking a carefree, relaxed yet exciting lifestyle. Towerwood is surrounded by many points of interest: Disney World, Epcot, MGM, Sea World and Universal Studios in Orlando, Busch Gardens in Tampa, Cypress Gardens in Winter Haven and Historic Bok Sanctuary in Lake Wales are a few of the many attractions around Towerwood. Excellent health care facilities are also located near by with the Lake Wales Hospital, Winter Haven Hospital and the Heart of Florida Hospital along with several doctor's clinics and women's centers. The leisure facilities at Towerwood include the lovely clubhouse, which is the hub of activity. Quality social functions are part of the lifestyle here. The recreation facility has a Jacuzzi, exercise equipment, pool tables, shuffleboard, library, horseshoes and heated swimming pool. Nearby Lake Wales and Winter Haven also has facilities for bowling, tennis, golf, movies and many lakes for fishing and boating. 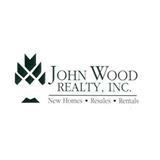 Towerwood, is just two miles north of the growing community of Lake Wales on highway #27 in Polk County, and 1 mile south of the new Eagle Ridge Mall; 10 miles from downtown Winter Haven and 30 miles from Lakeland, 54 Miles from Tampa and 50 Miles from Orlando. Its climate is better than most of Florida because of its altitude (205' above sea level, higher than any other Central Florida city). Its central Florida location and comfortable temperature makes Towerwood's location an exceptional place to live.